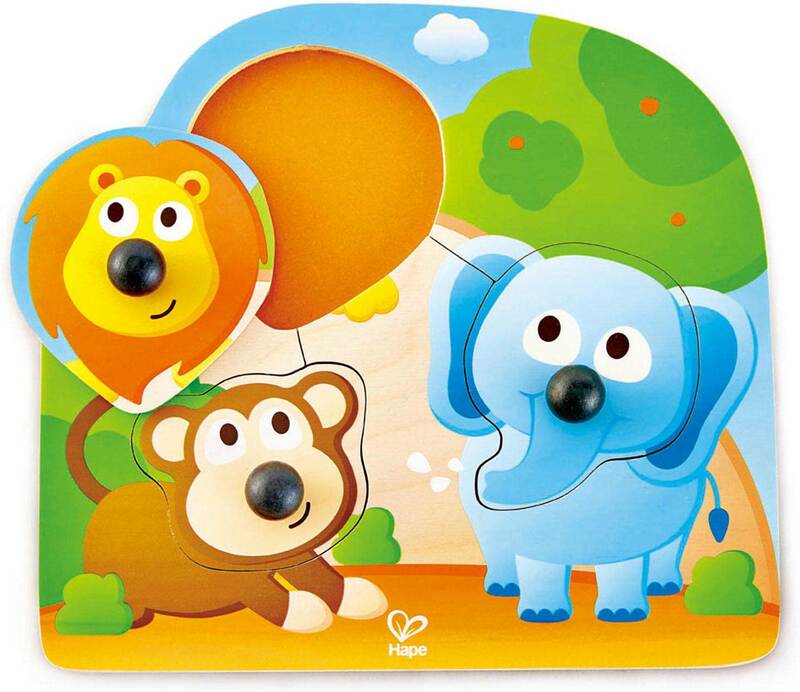 Pick up the cute animals by their easy-to-grab noses and solve the colorful big nose puzzle by matching the colors or shape. 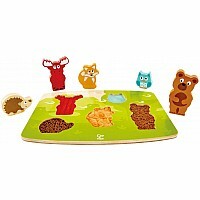 Encourage your child to say the names of the animals and mimic the sounds as they play. 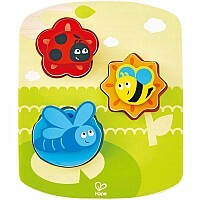 The puzzle pieces' easy-to-grab, chunky knobs are ideal for little hands, and helps to develop small children's finger grasping skills. 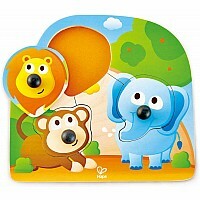 Features bright and colorful animal-themed puzzle pieces (lion, monkey and hippo). Made from high-quality, durable wood. 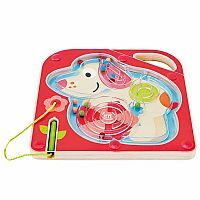 Suitable for children aged 12 months and up. Measures approximately: 8.94 x 9.76 x 1.38 inches..